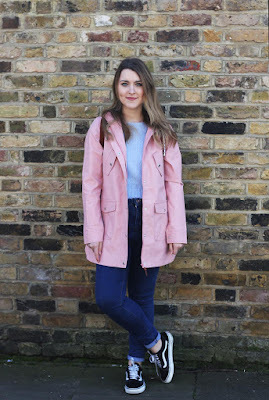 Inspired by my spring picks blog post I decided to put together a super casual but girly outfit together featuring my new pink jacket from Bellfield clothing*. 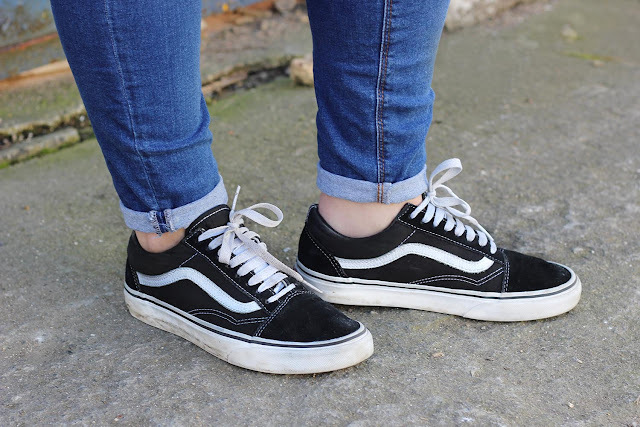 Styled with a few of my most loved/worn pieces in my wardrobe, I opted for my high waisted ASOS ridley jeans, a blue cropped fluffy jumper from Topshop and a battered pair of Vans. 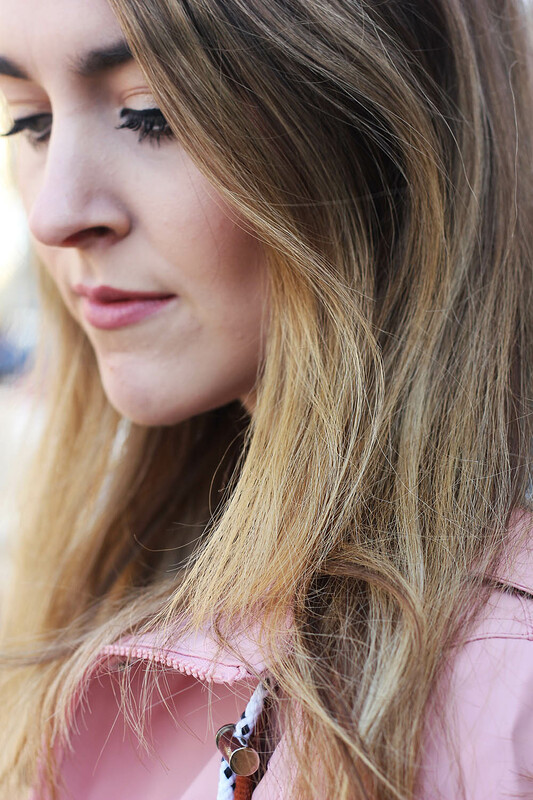 All part of my attempt to try and achieve the ultimate effortless look. Making this outfit perfect for when the April showers hit, and living in the UK I have a pretty good feeling that they will! Although I know this outfit doesn't put me in any style competition to be the next Blonde Salad, I do know that this is something that I will genuinely wear and hopefully a few of you would too. 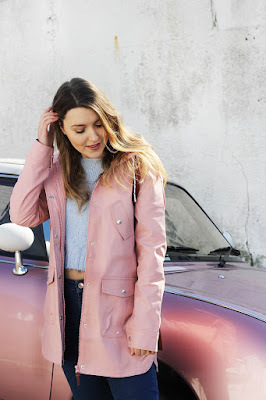 I spotted the pink car below and knew I had to do include it in an outfit post as it matched my pink coat so perfectly! If this jacket is a little too sugary sweet for you, Bellfield clothing also have they have some really lovely pieces on their site I particularly like the Dandelion and Wisteria skirts! *This post made in collaboration with Bellfield clothing, however all thoughts are my own! Thank you! I'm a vans addict! Your coat is so pretty, it just makes the whole outfit! I've been thinking about getting an anorak a bit like yours recently, but maybe in a yellow or a navy - though they look cute in every colour, and pink suits you! I've always wanted a yellow anorak, I think you should definitely get one! Such a cute coat! 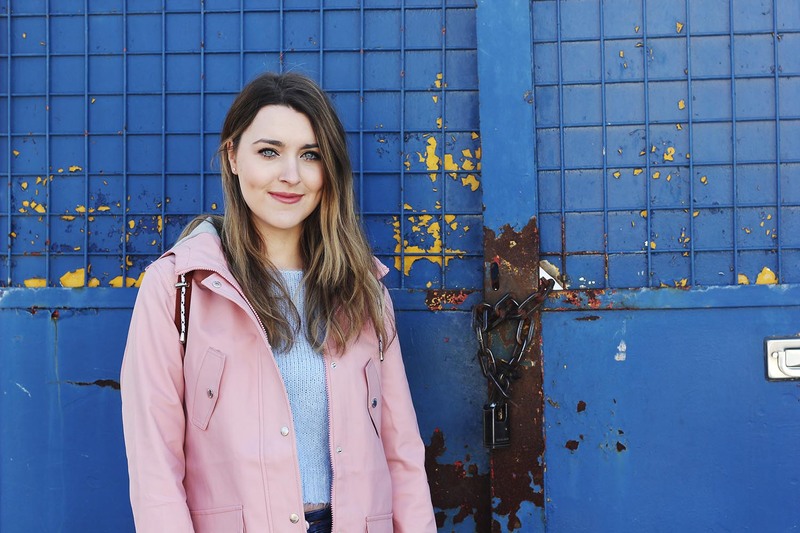 I have a lovely pink trench coat waiting for spring in my closet! I think it's officially time to wear it!